You are using an out of date browser - please upgrade to view this site. Create a high impact and easy to understand way to explain the benefits and the dangers of cryotherapy. We needed to solve a communication issue which had been highlighted by the team's Head of Sport Science. To help maximise recovery and enhance player performance the club has a state of the art Cryotherapy chamber which is used after games. 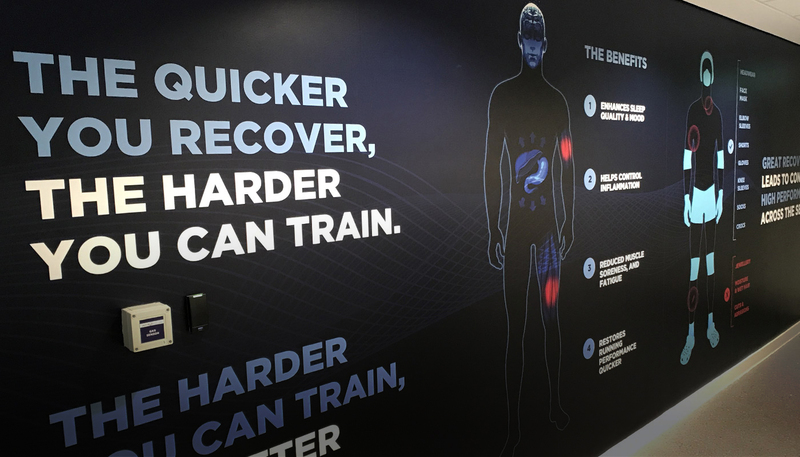 The chamber had no visible instruction for use and whilst coaching staff were always on hand to advise players it was realised that the area needed instructional signage and infographics to highlight the benefits and dangers of undergoing treatment. We were asked to come up with a design and installation solution which provided players and visitors to the site with the necessary information.